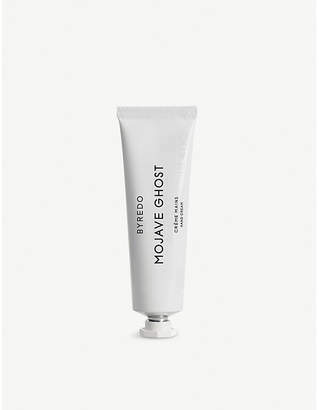 Byredo enhances the most habitual of gestures with this enchanting Mojave Ghost fragranced hand cream, bidding luxurious hydration, supreme softening and enhanced nourishment to dull and damaged extremities. 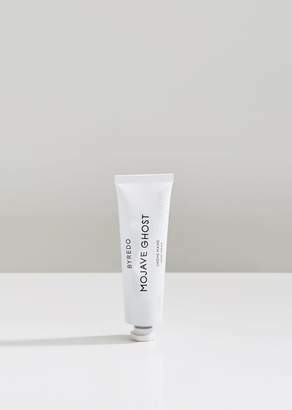 Formulated with a velvety texture, this sumptuous cream is enriched with shea butter for a boost of vitamins A and C, making it an everyday essential for your pocket, desk or handbag. 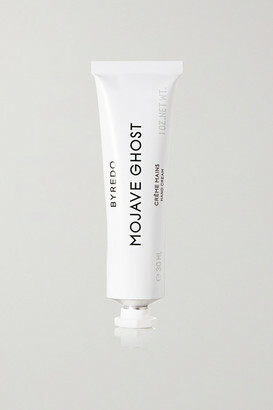 Comforting to many, while hostile to some, the soulful wilderness of the Mojave desert provides the inspiration for Mojave Ghost. One of the most arid expanses in the world, known for its Death Valley, the Mojave desert is home to the rare and beautiful ghost flower a miracle of life in a barren landscape, with fragile-looking, almost-translucent petals. 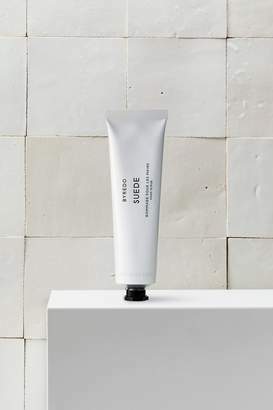 This woody fragrance has a light and graceful character, with hazy, musky top notes of ambrette and Jamaican nesberry, a powdery and white heart of violet, sandalwood and magnolia, and a base of chantilly musk, amber and cedar wood.